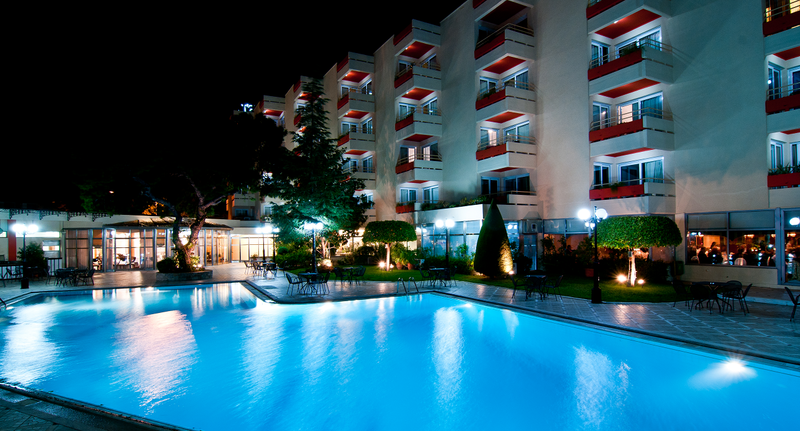 Oasis Hotel Apartments is located in the beautiful suburb of Glyfada, just 20 minutes from the historic city of Athens yet only a short walk from exclusive shops, long sandy beaches, yachting marina and world famous Glyfada golf club. Recently refurbished to a 'category A’ standard, Oasis Hotel Apartments offers 70 high quality apartment-suites each with their own bedroom, sitting room, fully equipped kitchen/dinner, luxury bathroom. The landscaped gardens of the Oasis Hotel Apartments is the ideal place to relax, enjoy a cool, refreshing swim in one of two free – formed swimming pools(one for children)or just take it easy in the outdoor Jacuzzi. For special events, parties or company functions our large banqueting suite will easily cater for up to 350 delegates. Our large, modern conference center also offers professional presentation facilities as well as smaller hospitality rooms for businesses of every size.